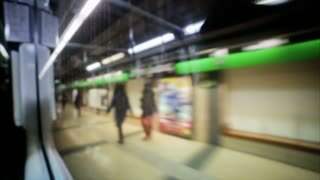 Train goes to the meeting. View from the train window. 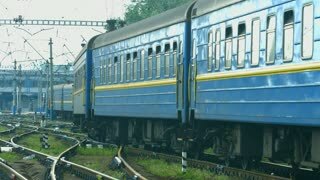 Passenger transportation by railway. 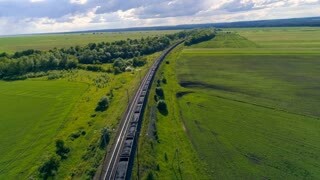 Freight train with cargo containers. Against Sunrise. logistic concept. Realistic cinematic 4k. Snowfall in the forest. Winter fairy tale. 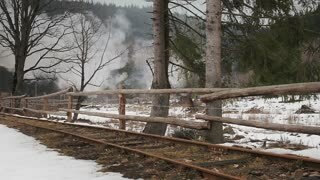 The railway in the winter forest. Beautiful winter. The rails are covered with snow. 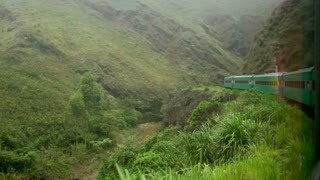 Passenger train. 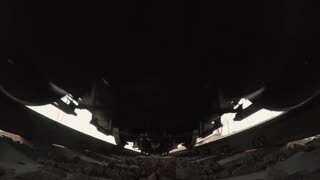 Huge part of a passenger train. 02. 08. 2017, Odessa, Ukraine. 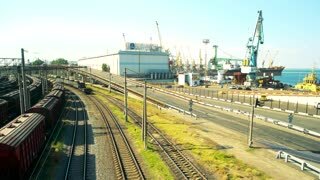 Marine industrial cargo port Odessa. 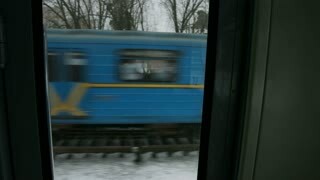 Driving locomotive motion. Kiev, Ukraine 25. 02. 2015. 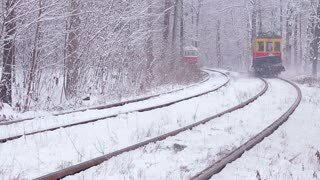 Tram go in the winter forest. 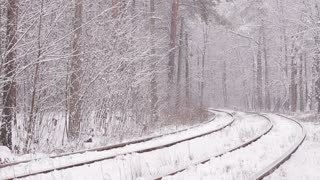 Railway in winter wood. Old locomotive wheels close up. 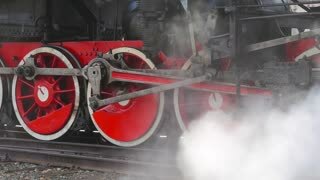 Detail of steam locomotive, side profile view, wheels, rods. Empty shipping containers are located at an abandoned railway station in the countryside against the background of snow and forest. Aerial view. A slow forward aerial establishing shot of a cargo train traveling over a railroad bridge over the Colorado River with the Austin, Texas skyline in the distance. UNITED STATES 1950s: Horse-drawn buggy drives toward camera / High angle view, cars on highway / Women in old fashioned clothing walk next to train / Train drives toward camera.